Nyan cat fã collage!. Are you a fan?. 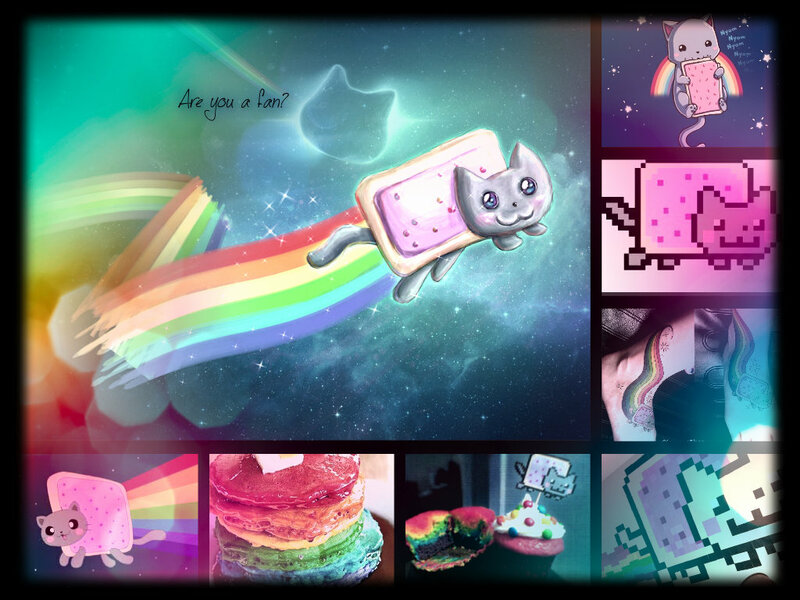 HD Wallpaper and background images in the Nyan Cat club. This Nyan Cat fan art might contain vitral, anime, banda desenhada, manga, desenhos animados, mangá, and quadrinhos.